The Freedom From Religion Foundation (FFRF) is deeply troubled about elementary school bible classes being taught in a Kentucky school district. A concerned local parent informed FFRF that the Knox County Public Schools system teaches elementary students bible classes. The district reportedly sends letters to parents at the start of each school year promoting the Bible Based Character Education classes and a permission form for parents to opt out of the classes. These classes are given in place of physical education or library time two days a month. Students who do not participate sit in the library. The class constitutes illegal religious instruction and is geared towards the district's youngest, most impressionable students, FFRF contends. FFRF has never heard of, and seriously doubts there could be, a class objectively teaching about the bible to elementary school students. The classes appear to be nothing more than a Sunday School course. These classes are flagrantly unconstitutional, FFRF warns the school district. FFRF filed suit earlier this year challenging similar bible instruction in elementary schools in West Virginia. "In the seminal Supreme Court case on this issue, McCollum v. Bd. of Educ. (1948), the court held that bible classes in public school were unconstitutional," FFRF Senior Counsel Patrick Elliott writes to Knox County Public Schools Superintendent Kelly Sprinkles. "The court did not find it relevant that parents had to opt their children in to the religious instruction, because the classes themselves still constituted an illegal use of the school system for a religious purpose. The facts here could hardly be more similar." Other federal courts have ruled that similar courses are unconstitutional. For instance, in FFRF's successful lawsuit against religious instruction in Rhea County, Tenn., some years ago, the court said, "This is not a close case. Since 1948, it has been very clear that the First Amendment does not permit the state to use its public school system to 'aid any or all religious faiths or sects in the dissemination of their doctrines.'" And suggesting that children who do not wish to be subjected to religious activity at their school should be segregated from their classmates is reprehensible. It shames students into either outing themselves as different or showing deference to a religion they do not believe in and to which their parents do not want them subjected. These classes are also a usurpation of parental authority — parents have the right to direct the religious, or nonreligious, upbringing of their children, not public schools. These bible classes alienate those students, parents, teachers and members of the public whose religious beliefs are inconsistent with the religious messages being promoted by the school, even other Christians whose beliefs do not endorse the biblical interpretation that the school teaches. Parents and taxpayers expect and desire a secular education. It makes no difference if some parents would like the school system to teach the bible as fact to its students. The law is clear: The teaching of religious doctrine is prohibited in public schools under the Constitution. Not only is this constitutionally required, it reflects the increasingly pluralistic world we live in. FFRF insists that Knox County Public Schools put an immediate moratorium on elementary school bible classes and investigate its bible classes at all grade levels. 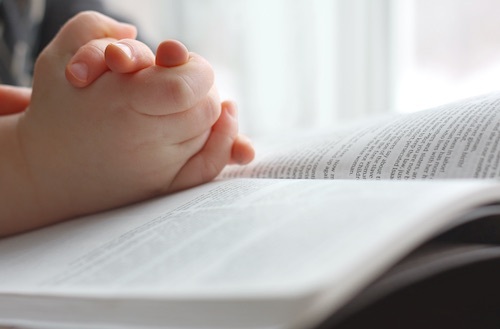 "We're talking about children here," says FFRF Co-President Annie Laurie Gaylor. "It's unconscionable to subject them to religious indoctrination." The Freedom From Religion Foundation is a national nonprofit organization with more than 29,000 members and chapters across the country, including members and a chapter in Kentucky. FFRF's purpose is to protect the constitutional principle of separation between state and church, and to educate the public on matters relating to nontheism.